new site. A five-acre site northeast of Chester was purchased in 1876 from Mr.
weeks before Rev. Eckert's death in an automobile accident. Rev. Eckert, Rev. A.B. Lehmen and Rev. 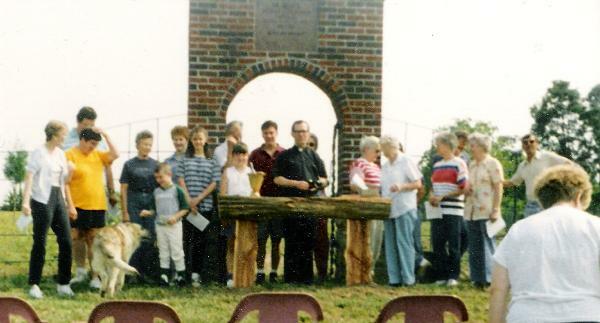 Joseph Sense are buried at the foot of the cross. 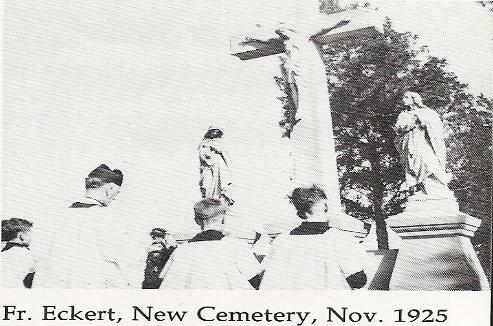 150th jubilee, a prayer service was held at the cemetery. 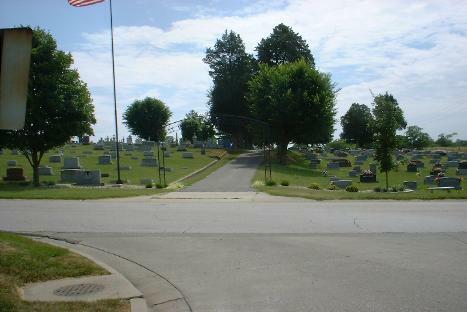 benches have also been placed at various points in the cemetery.